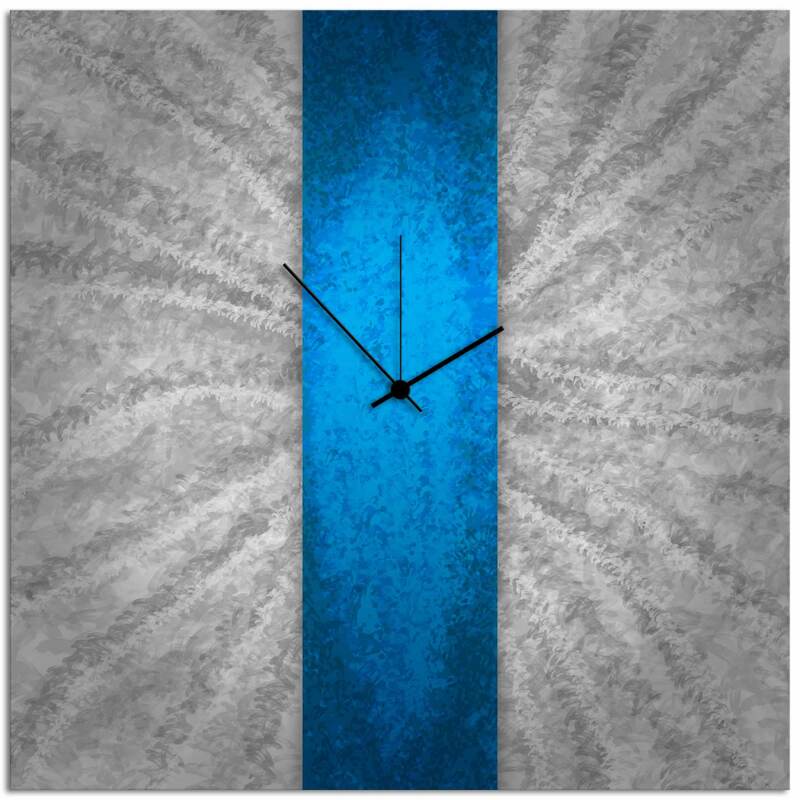 Blue Stripe Clock is a unique metal art clock. 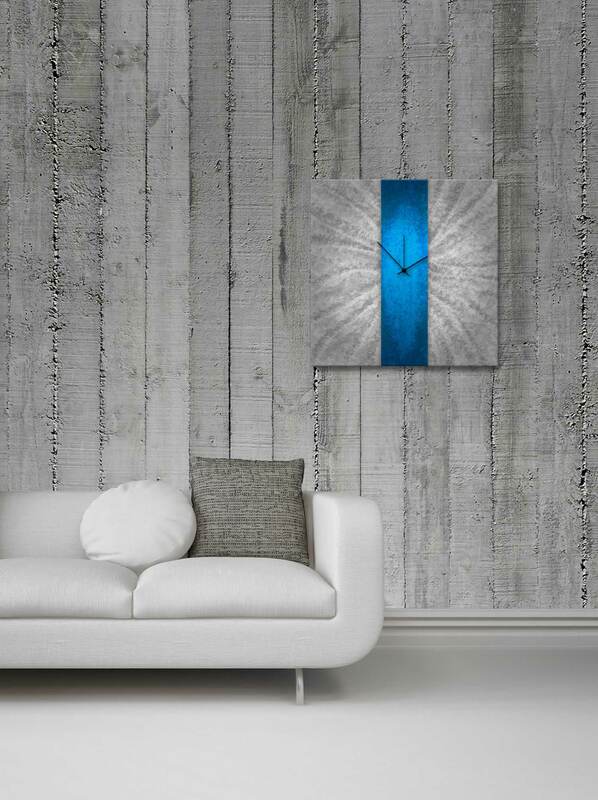 This design is made from a single sheet of metal expertly grinded and tinted and made in to a functional clock. The main feature of this piece is the bright blue stripe in the middle of the gray sheet of metal. The shade of blue the stripe is similar to the color of the deep ocean. And like the ocean, it has an element of mysteriousness surrounding the piece. The radiating lines on the gray sheet of metal further accentuates the beauty of the color used in this outstanding piece with each stroke and grind pattern on this piece enhancing the beauty of the plain sheet of metal. Nonetheless, this brilliant piece of urban metallic wall art that also functions as a reliable time keeper would certainly fit in any modern space.